An all-new Frontier compact pickup truck debuts for 2005 that's larger and more powerful than before. 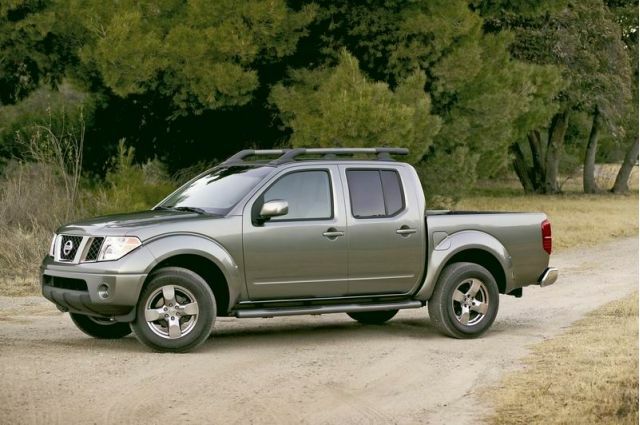 This time around it shares platforms with the also-new Xterra and Pathfinder sport-utility vehicles, which is essentially a modified version of the fully boxed, ladder frame used on the full-size Armada SUV and Titan pickup. Never let it be said that Nissan doesn't know how to make the most of its available engineering. 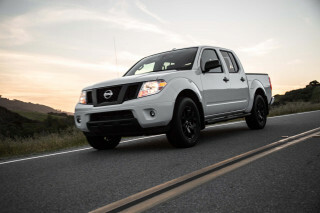 The new pickup comes in a choice of either rear- or four-wheel drive, in four-door King Cab and Crew Cab versions. The former configuration includes front-hinged rear access doors and flip-up back seats, while the latter comes with conventional rear-hinged doors and a full-sized bench seat. A 2.5-liter four-cylinder engine powers the base version, and a new 250-horsepower 4.0-liter V-6 is included with the rest of the line. A six-speed manual transmission is standard and a five-speed automatic transmission is optional. A "high-utility" pickup bed includes both a factory-applied spray-in bedliner and a "Utili-track" cargo tie-down system. Front-side and roof-mounted side-curtain airbags with rollover protection for front and rear passengers are among the vehicle's many options. Poorly designed cooling system it is very common to damage auto transmission also faulty designed smart fuse panel causes no start and other problems. This truck drives and looks very good.